The Difference Between Door Entry and Access Control Systems and the Benefits for Both. Door entry systems or Access control systems provide access to restricted areas and help to enhance security within premises. Protecting your property can sometimes require more than just a simple lock. Controlling access to any building is essential. A proper door entry system will ensure that the entry lock will only release to authorised people. Door entry systems are more popular than ever and a very secure way of providing safe and secure access to your communal buildings, replacing the traditional key access. A door entry system can be a critical component of your business. It serves as a doorbell and intercom system giving you control over who enters your workplace or property; at the same time, it acts as a security system for controlling staff access throughout the building. 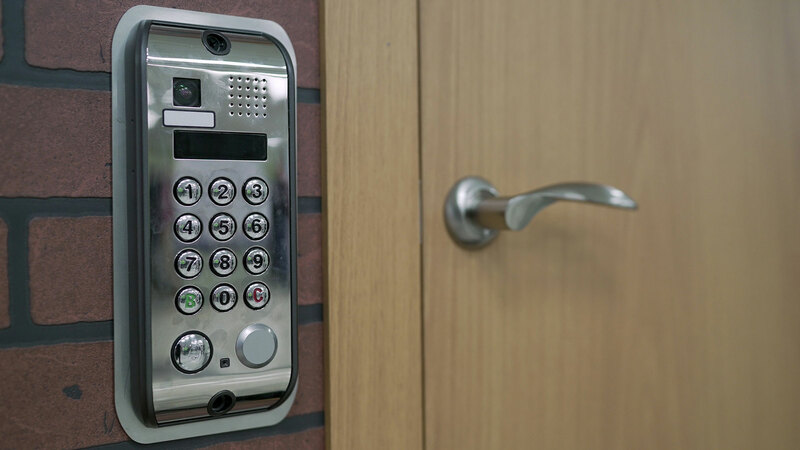 There are many different types of door entry systems using different methods to access the building, such as proximity card and fob control, keypad entry systems using PINS or numeric codes, and card swipe systems. There are many benefits associated with a professional installing a keyless door entry system. As advancements in technology improve the sophistication of the access control improves, At the same time, the costs of purchase and installation are falling, making keyless door entry an ever more affordable and cost-effective way to protect your business or home. From our experience at Woodhill Security, access control systems are the most commonly used to control entry into exterior doors of buildings; they may also be used to control access into certain areas located within the interior of buildings. This can be achieved easily by utilising the Central Control by PC. Access control systems are used on properties of all types, from large commercial premises to homes and small offices around the world. These systems provide an extra level of security for your property, making it more difficult for unauthorised persons to gain access. They can take many forms, from intercom systems to keypad locks and fingerprint scanners in some cases; it’s important they are always functioning properly. At Woodhill Security we believe in fitting only the best equipment, that’s why our preferred manufacturer is Paxton Access — chosen for its innovative design, reliability, versatility and ease of use to the customer. CCTV provides a whole range of benefits to those who use it. Firstly, and most obviously, CCTV systems deter crime. If a burglar spots a CCTV camera, then the chances of them committing the crime will decrease. CCTV protects your home and business 24/7, 365 days a year. Giving you peace of mind and video evidence in the event an incident happened at your home or business. If you are thinking about installing a new CCTV system, then you may need to decide between an IP or analogue video format. In this blog, we will help explain the differences between the two systems. These types of systems transfer video signals in an analogue form, usually using coaxial for the cabling, the video will then be recorded on to a DVR/ Digital Video Recorder, every single camera is directly connected to the DVR unit. These types of systems broadcast their video as a digital stream; this is over a network unlike an analogue system, the video will then be recorded onto the hard drives, but because the video is an IP stream straight from the security camera, there is much more flexibility as to how and where that video is recorded. The DVR is replaced with an NVR/ Network video recorder, which in some instances is just software based since it doesn’t need to convert analogue to digital. So what are the benefits? What can you expect when using IP Cameras over Analogue CCTV? Unlike a few years ago, where cameras have poor video resolution, now we full 4K HD IP cameras that totally outmatch any analogue camera solution. The higher pixel resolution of the IP cameras means you can zoom into the video itself, it will then reveal much more detail of a particular scene/event or even a persons face, even after it has been recorded without losing any clarity of the video. All analogue video cameras use the NTSC analogue video standard, which was created in the late 1950s. No matter what manufacturers claim, the image quality is being transmitted and recorded using this standard. Many find it hard to believe, but a simple IP video security systems are very cost effective to install and easy to operate. Today, most IP cameras are plug in and go, In the same way, your computer’s webcams will. The amount of cabling needed is reduced too, IP cameras use a single cable that can be used for everything, Using Power over Ethernet, PoE,, IP security cameras can be powered through the same cable that transmits the video signal and any PTZ commands, Pan, Tilt, Zoom. 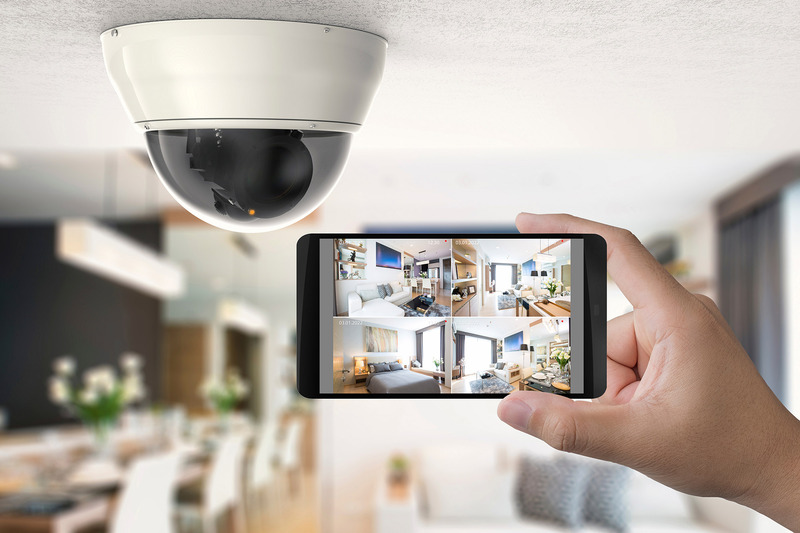 Whereas an analogue security camera, have a single cable that can only transmit its video signal, these types of cameras also require a separate 12v power supply installed ideally local to the camera using a different cable, and if you want added functionality such as PTZ controls for the camera, you’ll need another additional cable for that. This blog is written to inform and not confuse if you are thinking about having a CCTV system installed at your home or place of work, and you have any questions? Why not give us a call or contact us through our contact form for some Free advise, here at Woodhill Security Ltd, we can find a solution for all your security needs. You never really get over the devastation of a fire, and the damage it can cause in your home or business. The consequences can be devasting on your personal belongings, financial situation and most importantly the loss of life. Whatever the size of your property, large or small, Commercial or Industrial Whether you need a network or standalone system, here at Woodhill Security Ltd we have the expertise to design and install, and take care of all your requirements. We offer a wide range of systems from conventional to analogue addressable network systems from small to large, a single site or even multiple sites. 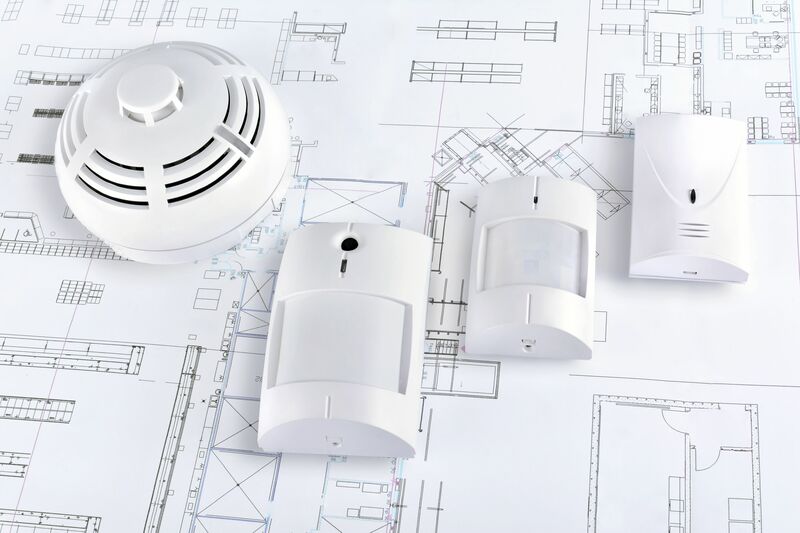 We have the expertise to design and install Fire Alarm system that will suit your budget and needs. Conventional fire alarm systems have been around for many years; they come in a variety of forms. Their design and reliability have improved no end as technology moves forward. 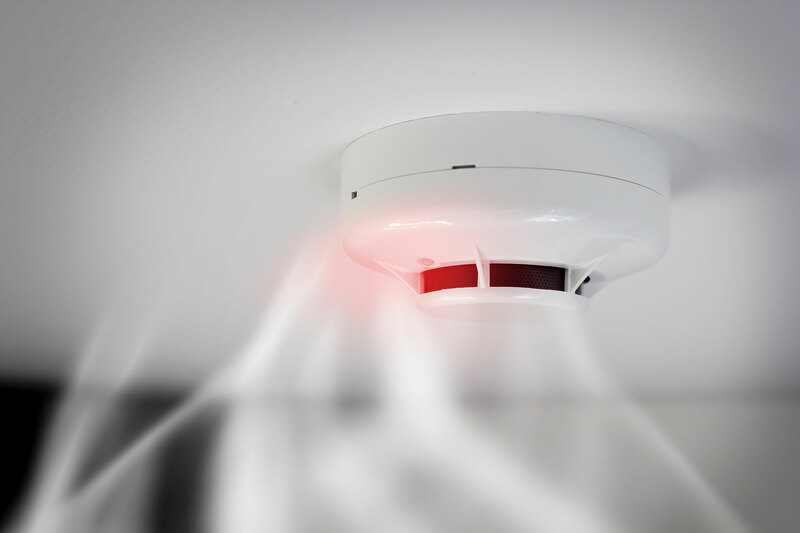 Conventional fire alarm systems when activated will notify you of the loop of the device but no other information, a led on the activated device will denote the caused problem. A traditional fire alarm system can be the perfect choice for a smaller home or business where a small budget exists. Analogue Addressable Fire Alarm Systems are the perfect choice for Commercial, Industrial premises with multiple rooms and floors where a more complex system is needed, they are different from the more conventional systems and offer more flexibility, intelligence from speed of identification by pin pointing the cause of activation by room, area and floor of the property. One of our most popular systems the radio-based wire-free system has some unique features and are an ideal alternative to the wired system. Here at Woodhill Security Ltd, we pride ourselves in giving you the best design and installation to suit your home and businesses needs. All designs, installation and commissioning are to the current standards BS539. We will leave you with complete peace of mind. The property market is always evolving, tastes change. Flats are growing in popularity. But while enjoying the benefits of an apartment, there are undoubtedly plenty of challenges to overcome when thinking about security. The responsibility of the maintenance for the communal area is always down to the landlord but they are not solely responsible, everyone needs to work together. Report any issues as soon as you become aware and never assume someone else will report it. From broken lights to door mechanisms it all needs reporting. Shrubs and plants should be cut back to keep the entrance clear and out of the way of any CCTV that is in operation. 1. Don’t let strangers follow you in. 2. Make sure you always close communal doors when entering and exiting. 3. Never buzz anyone in you don’t know. Living on the 19th floor you may think your safe from intruders. But a high number of burglars force a door to gain access. Think about upgrading your door, deadbolt locks are perfect for this. Ground floor or basement flats are at high risk of burglaries. 3. Having a smart doorbell is a great way to monitor callers from your smartphone even when you’re not home. 4. Sliding Balcony’s or patio doors are known for being weak arm them with a secondary lock. 5. Be safe even when your home! burglaries do take place even when your home. Be careful when leaving doors and windows open. As with all Burglars, they are always on the lookout for an easy job if there’s a simpler opportunity nearby they will move on. Burglars see flats as an easy target as most are not alarmed and without CCTV cameras. 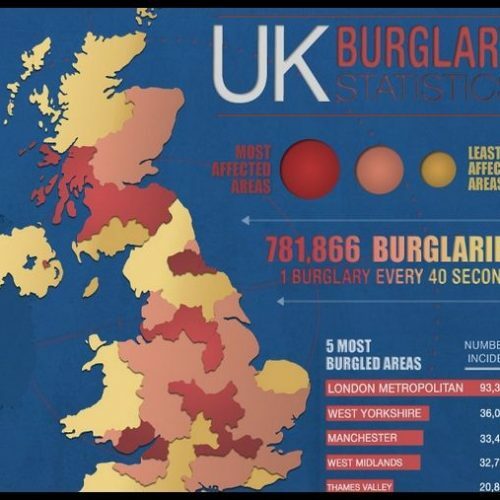 Investing in an alarm system and CCTV could be just the deterrent to make a burglar think twice. Wireless alarms systems and CCTV are highly effective and very easy to install. If you rent your apartment contact your landlord for advice on installing these systems. Passive Infrared Sensor commonly known as PIR Sensor is a motion sensor that detects infrared light. Motion sensors are used to detect body movements inside or outside buildings or properties. Once the sensor detects movement, it sends out a signal to a control panel which further triggers the alert this could be a light or alarm system. 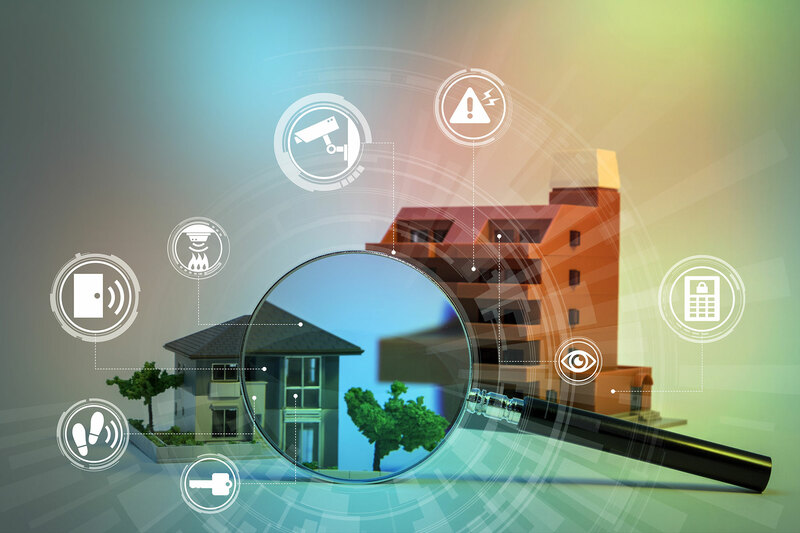 PIR sensors are one way to help protect your home from an intruder, but to get the most from the sensors you need to think carefully about where they are installed. Here are some ideas on placing your PIR sensors for maximum effect. Place the PIR in a spot where an intruder would have to walk by to get to to other rooms. Find the appropriate walls that an intruder would walk parallel to in your home. Intruders are there for your valuable goods, set the sensors either facing the equipment itself or behind it and over windows and external doors When the intruder moves the objects, the sensor will notice the movement and trigger an alarm. Looking outside your property, your driveway and garden areas are a must, Your external PIR will pick up when someone steps onto your property alerting you of an intruder. PIR’s can offer many solutions to your security needs. Here at Woodhill Security we can advise and offer you the latest and very best product to protect your home and properties. The new Hold-Up/Medical button has a variety of functions from being the first point of call in a medical emergency to alerting people of an individual posing a threat to you or your family in your own home. All notifications can be sent to an unlimited number of smartphones as part of your home control+ plan. 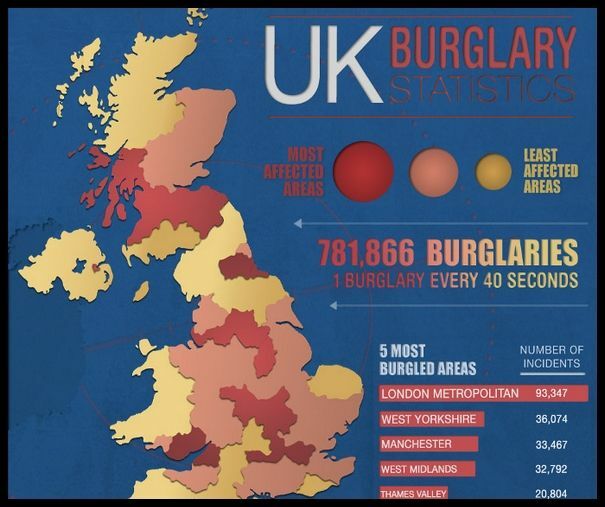 These are the burglary hotspots in the UK. How does your hometown compare?